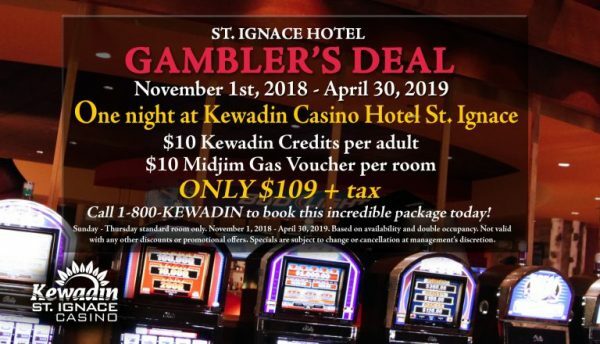 While visiting our casino properties, be sure to take advantage of these great special packages and discounts available at our Kewadin Casino hotels in Sault Ste. Marie and St. Ignace. AAA members receive 10% off published rack rate, any day of the week (Any Kewadin property). Senior/AARP members receive 10% off published rack rate, and day of the week (Any Kewadin property). 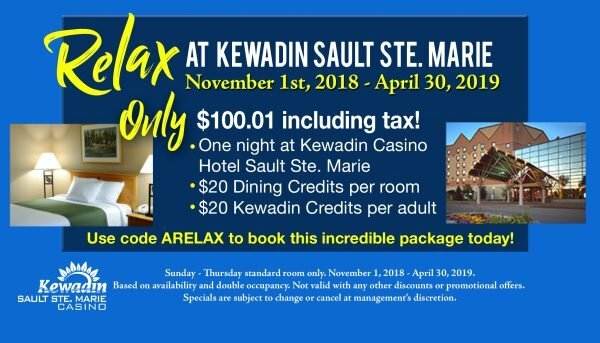 Northern Rewards Club members—please call 1-800-KEWADIN for your personalized rate. Specials are subject to change or cancel at management’s discretion.